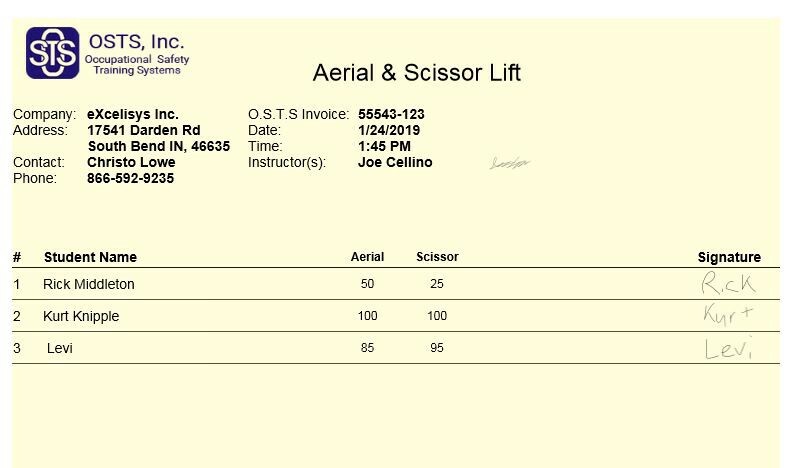 With a mission to help businesses reduce injuries, save lives and comply with Cal/OSHA regulations, OSTS Inc. provides safety consultation and employee training to clients across Southern California and beyond. Geosano found his niche after the California legislature passed Senate Bill 198 in 1989, requiring all employers to implement a written injury and illness prevention program. In response, Geosano founded OSTS Inc. to help companies meet the requirements. One of the core services provided by OSTS is training and certification. On any given day, OSTS trainers may be teaching courses on CPR/first aid; forklift safety; industrial hygiene; mobile crane operation; HAZMAT emergency spill response; and excavation safety / trench shoring. The list goes on and on. While Geosano escaped the need to manage a physical inventory, his business requires an endless amount of record-keeping. Every time an employee takes a course or earns a certification, it must be documented. Trainers must track course attendance and eXam scores for each pupil. In addition, there are physical certificates to print and disperse. Until recently, OSTS handled these processes with pens, paper and manual data entry. This was no small task. 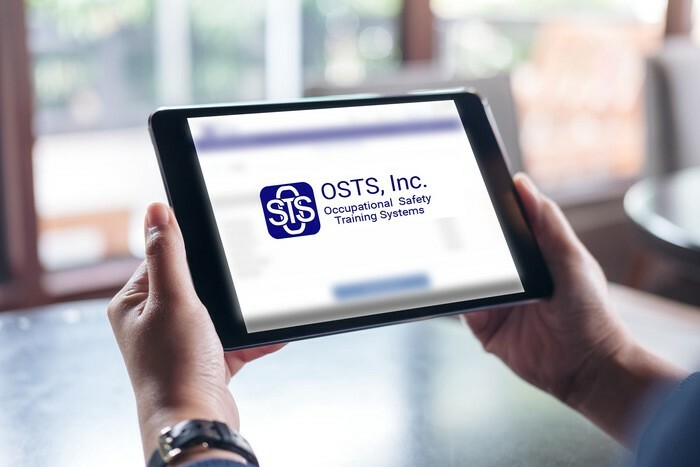 OSTS trains some 40,000 employees a year and about half take courses that come with physical certificates upon completion. “Manually creating 20,000 certificates a year was quite a task,” said Geosano. 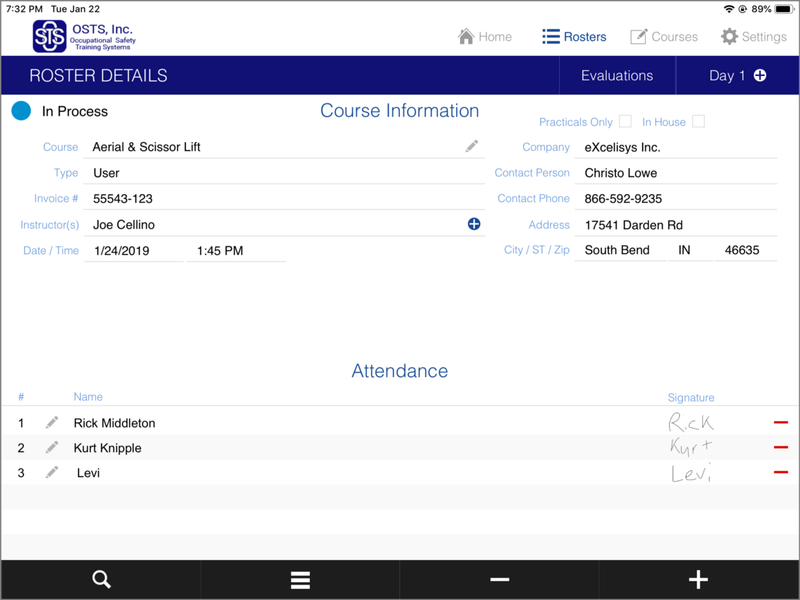 Looking to automate (and digitize) the workflow and certificate-printing process, OSTS hired eXcelisys to build a custom classroom roster app to remove all paper irritants. The FileMaker Pro platform — and especially the FileMaker Go mobile app for iOS devices — fit the need perfectly. eXcelisys developer Joe Cellino began work on the FileMaker Go app in late July 2018 and by mid-August had deployed a testing build, which was tweaked for the final build delivery last fall. ✔️Electronic sign-in and signature capture: Utilizing an iPad, students type their name into the system and sign to acknowledge their attendance. No more time wasted deciphering illegible handwriting and/or tracking down correct name spellings for records and certificates. Many courses are multi-day. Because the solution tracks daily attendance, instructors know eXactly which portion of the course a student has attended. This means if a student is absent one day, it’s easy for them to pick up the missed training the next time the course is offered. ✔️ Test Score Recording/Reporting: Each course has its own eXamination requirements. Some courses have several “practicals” students can take to show they have mastered the content. 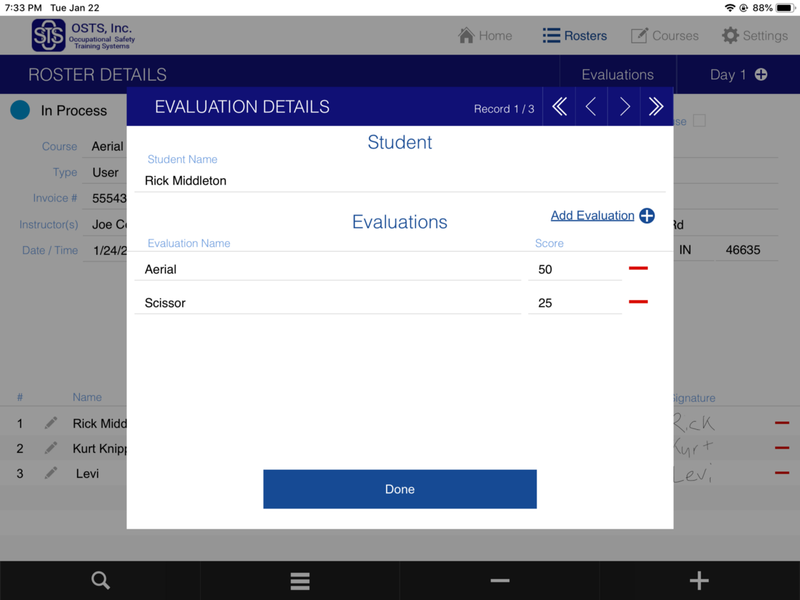 The app shows the instructor which eXams are applicable and the instructor chooses the ones that will be administered. ✔️ Email data transfer: After delivering the course content and administering the eXams, the instructor signs off on the course to acknowledge it has been completed. At this point, the course roster, class details and student scores are emailed to the home office, where they are available in both Excel spreadsheet form and PDF output. 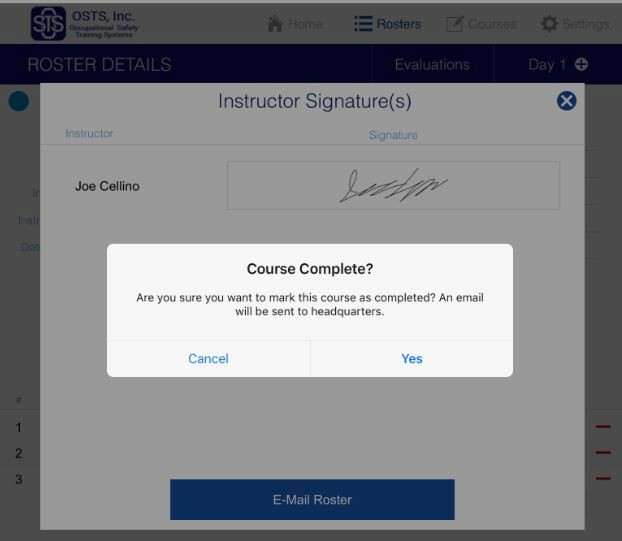 Some courses are taught onsite at OSTS, but some are taught at the client site, making the email transfer an essential piece of the app’s design. No more need for instructors to physically deliver rosters to the OSTS office for processing. Eliminates need to manually type each class roster into the database. PDF can be saved for quick record-keeping. No need to type information for individual certificates because the system syncs the data (via the Excel spreadsheet) and autofills the certificate information. 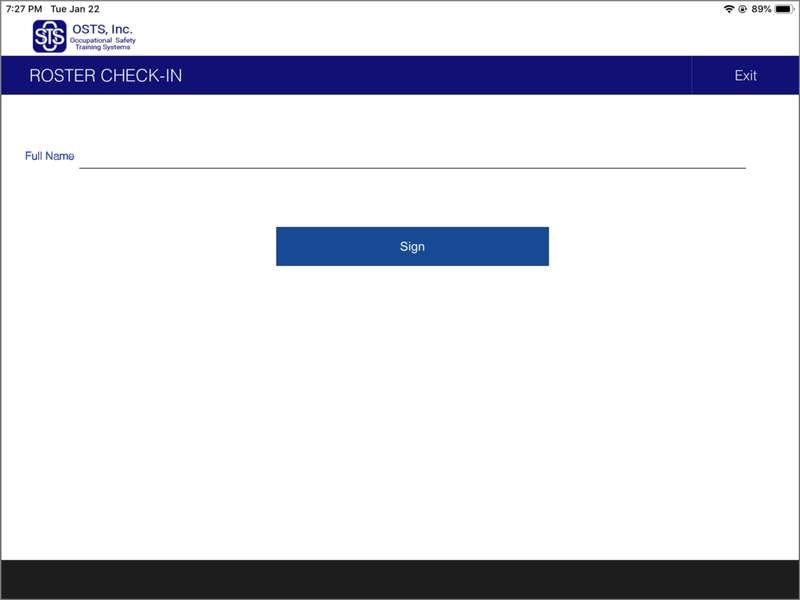 Students are presented with this check-in screen. After signing their name, the screen at the top right pops up. By hitting “accept,” the student acknowledges their attendance at the course. 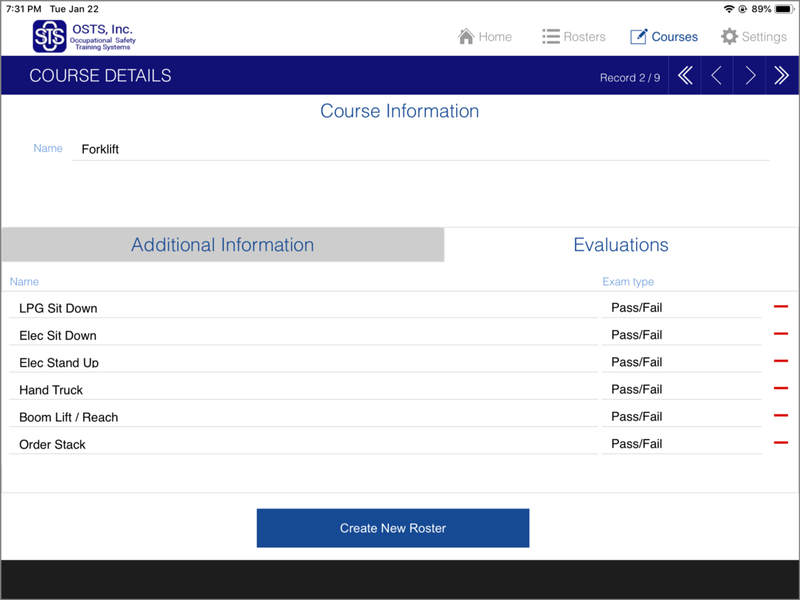 Instructors can check the “roster details” to see who has checked into their course. 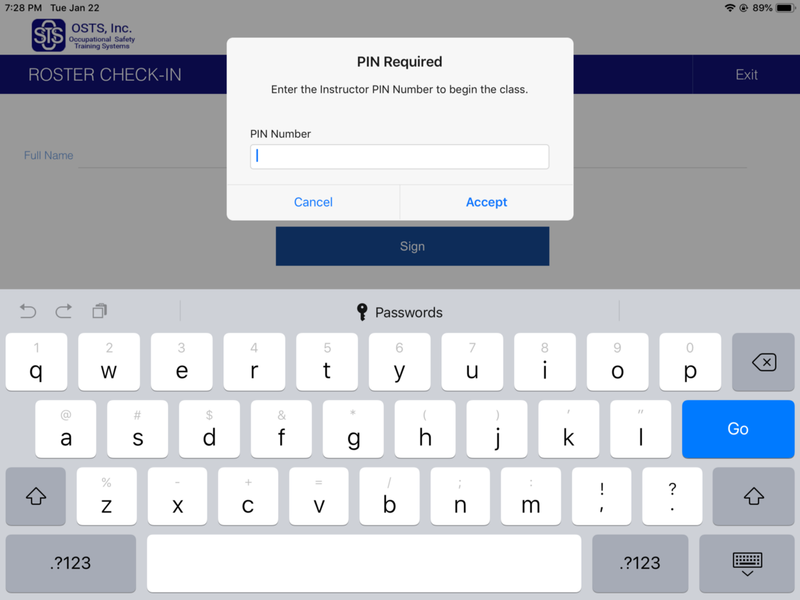 Lower right: After all students have checked in, the instructor enters a PIN to move the iPad out of check-in mode so roster information cannot be accessed. Future plans include an auto-push for roster transfer to replace the emailing and manual import. Currently, OSTS has no internal FileMaker server so an auto-sync feature is not possible. The “course information” page displays the eXams that will be given. Depending on the course, some eXams are written, while others require a hand-on performance/demonstration. The instructor can customize the course information to select the eXams to be given. eXam scores are input directly into the iPad. The instructor signs off on each course after completion. The final course roster (along with eXam scores) is exported as a PDF for filekeeping. Both OSTS and the client company keep copies for OSHA records. 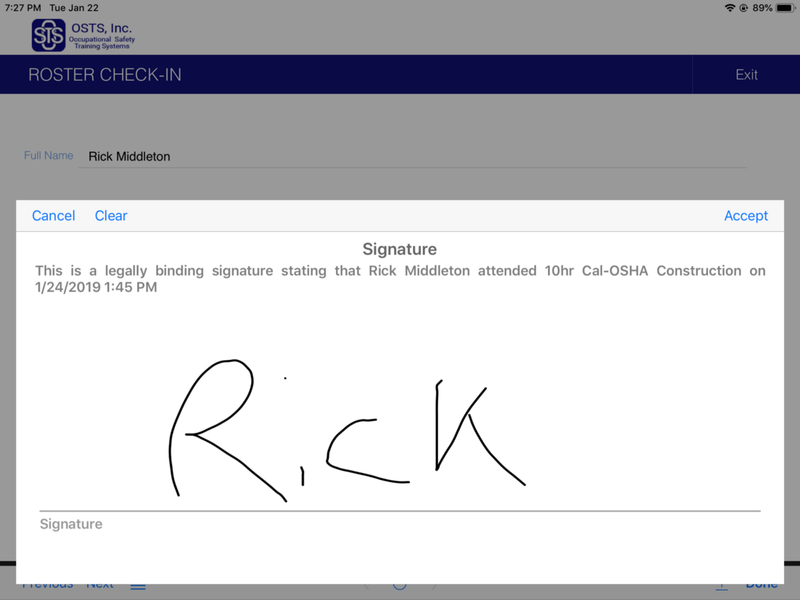 The post Custom FileMaker Go iPad App Reduces Chronic eXposure to Paperwork for Safety Training & Consulting Firm appeared first on eXcelisys.